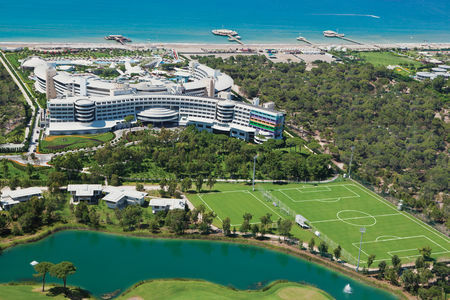 Turkey boasts vast stretches of relatively pristine beach along the Mediterranean Sea, some of which are further adorned by the majestic snow-tipped Toros Mountain Range. 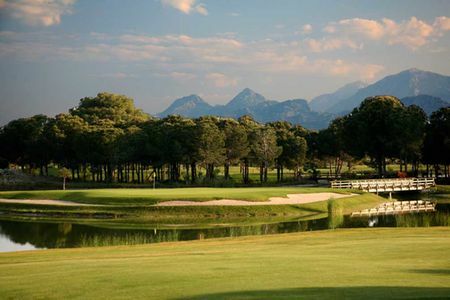 As it flirts with European Union membership, the country is becoming increasingly aware of the possibilities of tourism in general and golf in particular. 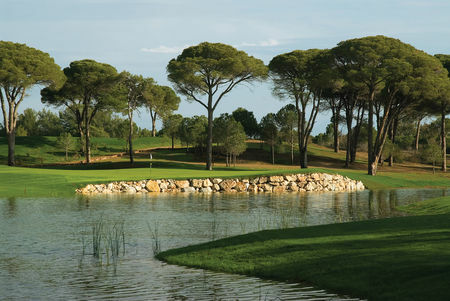 The climate here is more temperate than in Spain or North Africa, and the winters are especially conducive to outdoor activities. 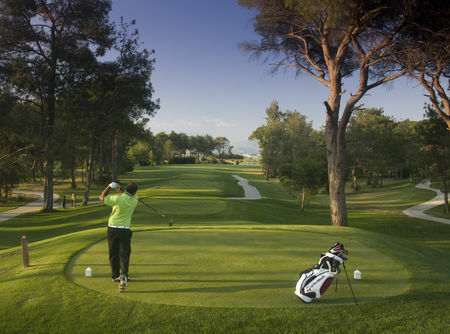 The Turkish Golf Federation was founded in 1996, and it today represents nearly two dozen clubs that are patronized by over a thousand members. 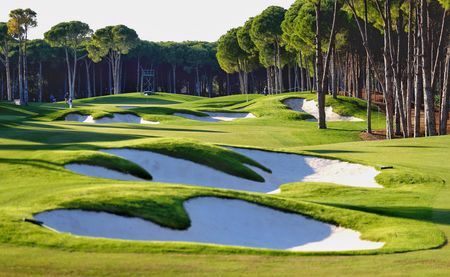 The Federation has announced its hopes of constructing a hundred courses by the end of the decade. 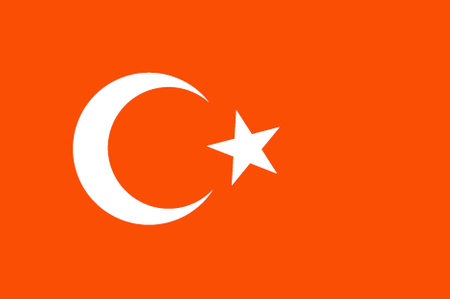 This is an ambitious goal; it is only to be hoped that some quality control is exercised. 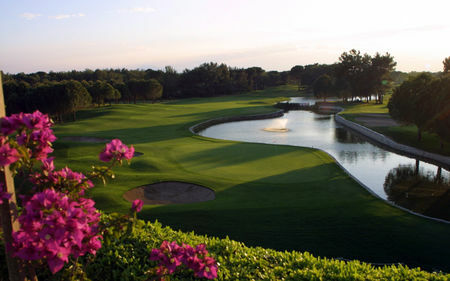 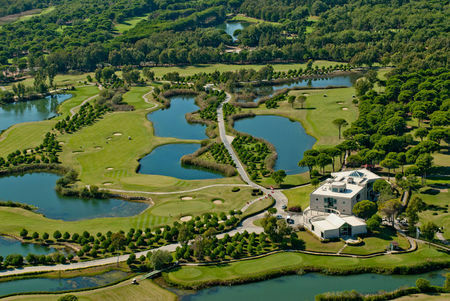 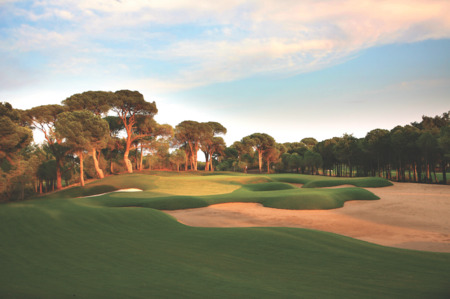 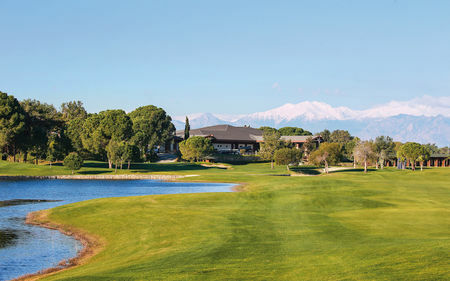 Beginning around the turn of the millennium, several courses have been built, mainly in the forested Belek area of Antalya. 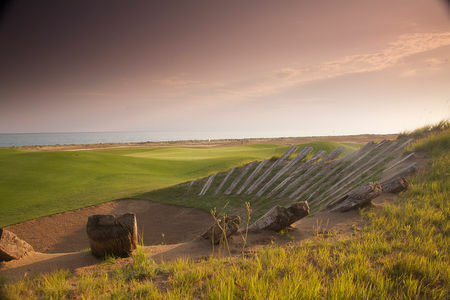 The fact that a number of the top European architects are responsible for the designs has helped to make this one of the favored destinations for tourists with a penchant for the game; David Feherty, Nick Faldo and Colin Montgomerie are all represented here. 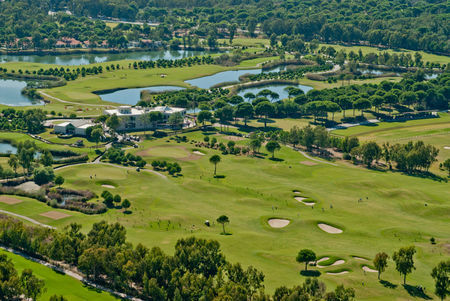 Thankfully, the new resorts have managed to learn from some of the mistakes made by developers in Europe.